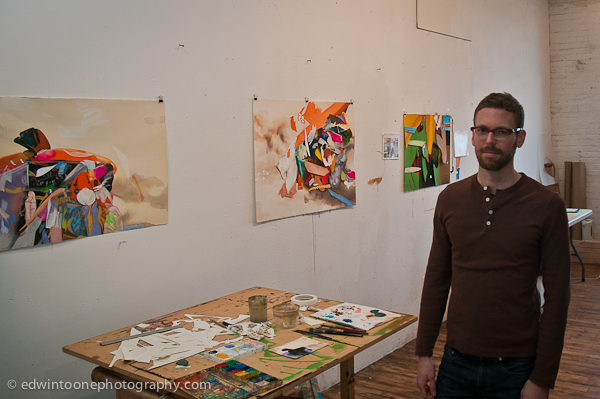 This past weekend I got to hang out with an old friend, Jim Gaylord, in his Brooklyn studio. ? ?We spent a little time talking about his work and how it has changed since we all lived in San Francisco many years ago. ? ?My wife and I are lucky enough to own two of his paintings from that period but we are really excited by his new work. ? ?To us it is much more abstract and refined. He has really developed as an artist and it is great to see him doing what he loves. ? ?For more information about Jim and his work follow the link: http://www.jimgaylord.com/? ?